Miramar Recovery Centers is a top notch rehab center for all kind of addiction rehab treatment in California. Our professional clinical team combined with effective techniques solves deep rooted issues by therapy treatment. Contact us via website! Wellness Retreat Recovery Center provides intensive one-on-one therapy, clinical and holistic treatments, and first-class amenities in a highly personalized and individualized estate setting. Our exclusive program serves just six clients at a time. With our small size and high staff-to-client ratio we are able to implement intensive, effective treatment by customizing treatment to meet each client’s needs. If you or someone you know is suffering from drug or alcohol addiction, call us now at 1-888-SOBER-WR and one of our dedicated staff members can help start your journey into recovery today. Ventura Recovery Center A Community Recovery Center and Siesta in Thousand Oaks, California provides drug rehab and alcohol addiction treatment. 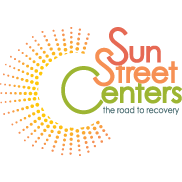 Ventura Recovery Center A Community Recovery Center and Siesta counsels and men in substance abuse addiction recovery. Our Residential treatment and substance abuse treatment programs are personalized based on our clients addiction treatment needs. Call Ventura Recovery Center A Community Recovery Center and Siesta at (805) 499-8383 for more information on our drug rehab program.